Airfare to come home for Christmas: $400. Gas to bring Ty to see Uncle D on Christmas Day: $5. Detergent to clean shown spit-up: $7.99. 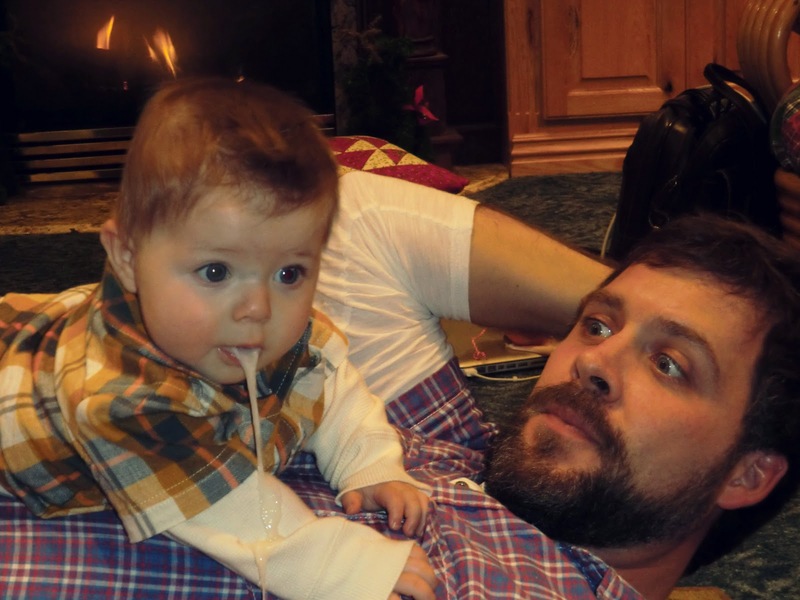 The look on Uncle D's face whilst noticing said nephew barfing all over him: priceless. This is my favourite Wordless Wednesday photo! It makes me laugh every time I look at it! Love your face.